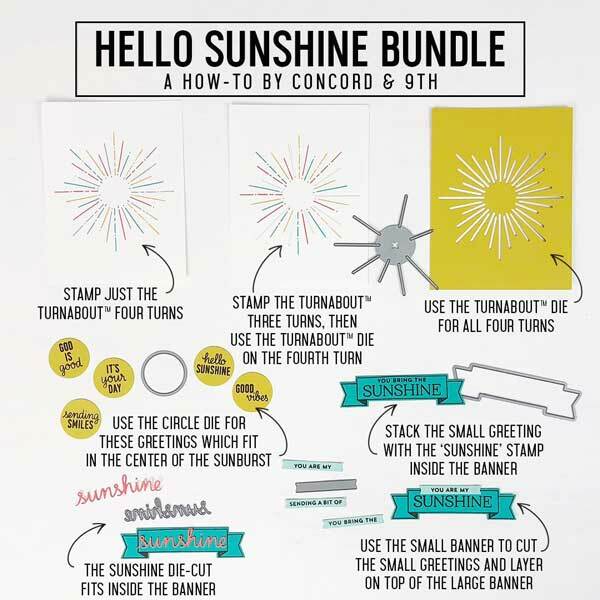 Hello Sunshine Turnabout dies by Concord & 9th. 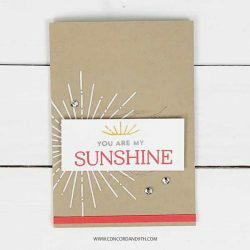 5 piece die set. 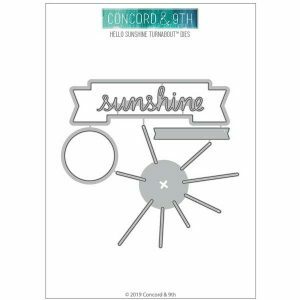 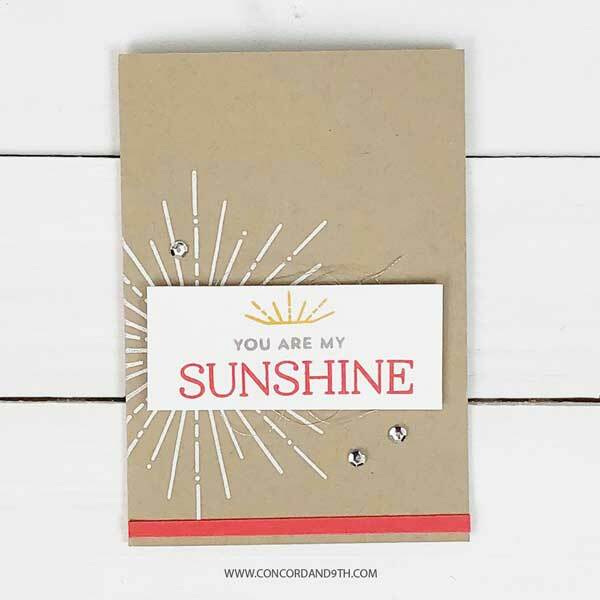 Coordinates with Hello Sunshine Turnabout™ stamp set (see below). 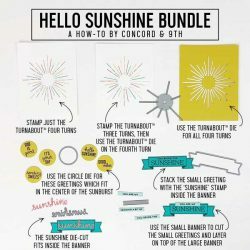 The sun ray die is a Turnabout™. 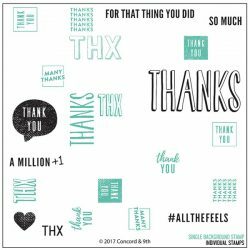 It is the same as the stamp set so that you can stamp 3 turns, and die cut the last turn for a small peek-through, or die cut all 4 turns for more peek-through. 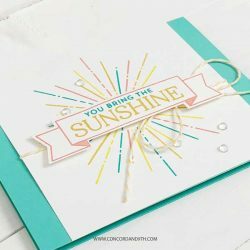 Sentiments from the Hello Sunshine Turnabout™ stamp set fit inside the die cut banner and circle dies.